Ads without body copy present a special challenge for writers: you have to say everything that needs saying with just a headline (although sometimes we cheat with an eyebrow or subhead). 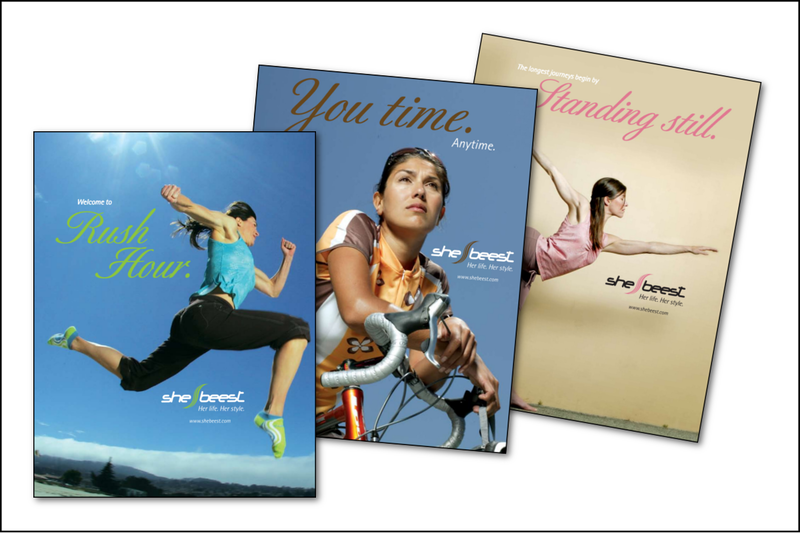 We did this series for Shebeest to differentiate the client’s offerings to the activewear, cycling and yogawear markets. So headlines had to be segment-appropriate. And aspirational to the women in those segments. And of course everything had to work together. Note we felt confident enough in the strength of the brand to use different colors in the S of the Shebeest wordmark for each execution.